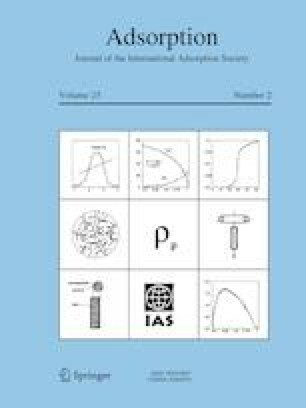 We revisit the quasi-equilibrium adsorption method as an inexpensive alternative to commercial volumetric apparatus for the measurement of gas adsorption isotherms. This method is based on how the pressure of a manifold containing the sample increases as a function of time when an adsorbing gas is introduced. We show that, under certain conditions, it is not necessary to employ ultra-low flow rates (i.e. below few cm3/h) to obtain reliable adsorption isotherms. Also, we show that by time-differentiating the mass balance equation, it is possible to obtain and measure directly the rates of adsorption. These new insights provide a low-cost and simple approach to the measurements of both adsorption equilibrium and rates. The online version of this article ( https://doi.org/10.1007/s10450-019-00068-8) contains supplementary material, which is available to authorized users. We appreciate the suggestions provided by Dr. Jacek Jagiełło from Micromeritics Instruments Corp and from Dr. Carlos León y León from Morgan Advanced Materials.